Whether you’re out for a long drive or just a trip to the nearest store, you’re bound to travel through an intersection. They’re so common on city streets and suburban roads that we often take their dangers for granted. Car and truck accidents at intersections can lead to catastrophic and fatal injuries. That is why the Scranton, PA attorneys at Foley Law Firm take these kinds of crashes so seriously. Let’s take a moment to consider the nature of intersection crashes, the dangers people face, and who is legally liable when an intersection crash occurs. 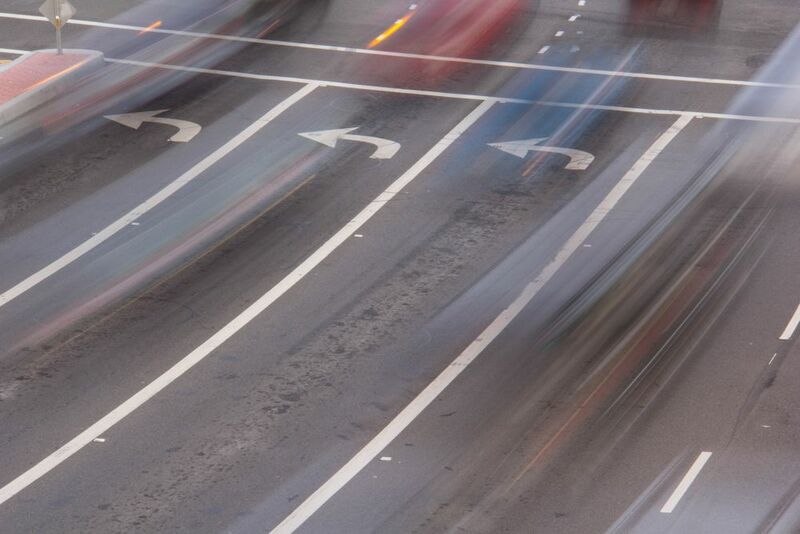 How Common Are Intersection Auto Accidents? According to numbers from he National Highway Traffic Safety Administration (NHTSA) in an older comprehensive study, there were 2,307,000 intersection collisions in 2008. That accounted for 40 percent of all collisions that year. Newer statistics from the NHTSA note the deadliness of these collisions in the state of Pennsylvania. There were 252 fatal intersection accidents in 2017, down from 272 fatal intersection collisions in 2016. All of these numbers should give you a good indication of why intersection crashes must always be taken seriously. While all sorts of collisions may occur at an intersection, the most dangerous type is the T-bone crash. Also known as a broadside collision, this involves the front of one vehicle striking the side of another vehicle at a perpendicular angle. These are one of the deadliest kinds of crashes. Driver Inattention - Texting, cellphone use, rubbernecking, and general inattention makes intersection crashes much more likely to occur. Unguarded Left Turns - Unguarded left turns at intersections leave drivers particularly vulnerable. Extra caution must be taken when making these turns. Running a Red Light - When a driver runs a red light or stop sign, there is a greater risk of a T-bone crash or other type of accident. Drunk Driving - Driving under the influence of alcohol or drugs severely impairs your decision-making skills and coordination. Only drive while sober. Traffic Signal Malfunction - When traffic signals fail, it can make an intersection even more dangerous that before. Bad Weather - Rain, snow, ice, and other inclement weather can affect traction and make accidents more likely. Poor Road Conditions - When a road is in poor shape or there is debris in the road, there is a much greater risk of a serious crash. Most of what we’ve covered above applies to other motorists, but we have to note that pedestrians and bicyclists face added dangers at intersections. This is especially true when motorists are making turns. Since pedestrians and bicyclists are more difficult to notice and more vulnerable, this is a recipe for catastrophic and potentially fatal injuries. Who Is Liable in an Intersection Collision? Liability in an intersection crash depends on a number of factors. During a consultation with the lawyers at our firm, we can go over the circumstances of your case and determine an ideal course of legal action. For more information about what you and your loved ones can do after a serious car crash, be sure to contact our team of auto accident attorneys. We at the Foley Law Firm are here to help. You can reach us by phone at (800) 523-6539.